Good morning, dear readers! I hope this post finds you well! This week feels like it has flown by at record speed, and I can't believe the weekend is almost here again. I suppose that's the better option over have a week that never ends, right? 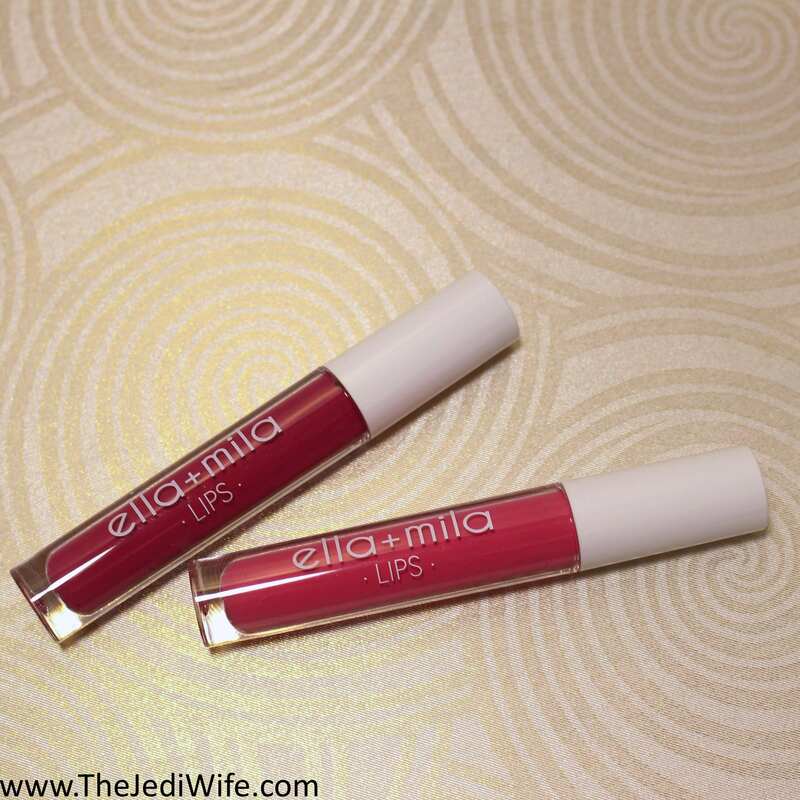 I don't want to get too chatty as I know I am prone to do, so I'm going to keep it short and get into the real reason you're here: Ella+Mila lips! Ella+Mila is one of the brands I had the pleasure of meeting with while attending Cosmoprof North America earlier this month, and although it isn't a new-to-me brand, I was thrilled to spend some time at their booth! While the brand has already made a name for themselves with their beautiful 7-free nail polishes, including the adorable mommy and me sized sets, the brand recently expanded on their repertoire with liquid lip products! I was already aware of these lip products, but this was the first I had seen them in person. I must say: I am in love! The new line launched with ten lip lacquers of differing finishes: three are glossy, two are creamy, and five have a matte finish. I was provided with It's Complicated and Agent Provocateur to share with you in today's post. Let's check them out! Each Lip Lacquer is contained within a 4 mL/0.14 fl oz tube, and a doe-foot applicator is attached to the inside of the cap. 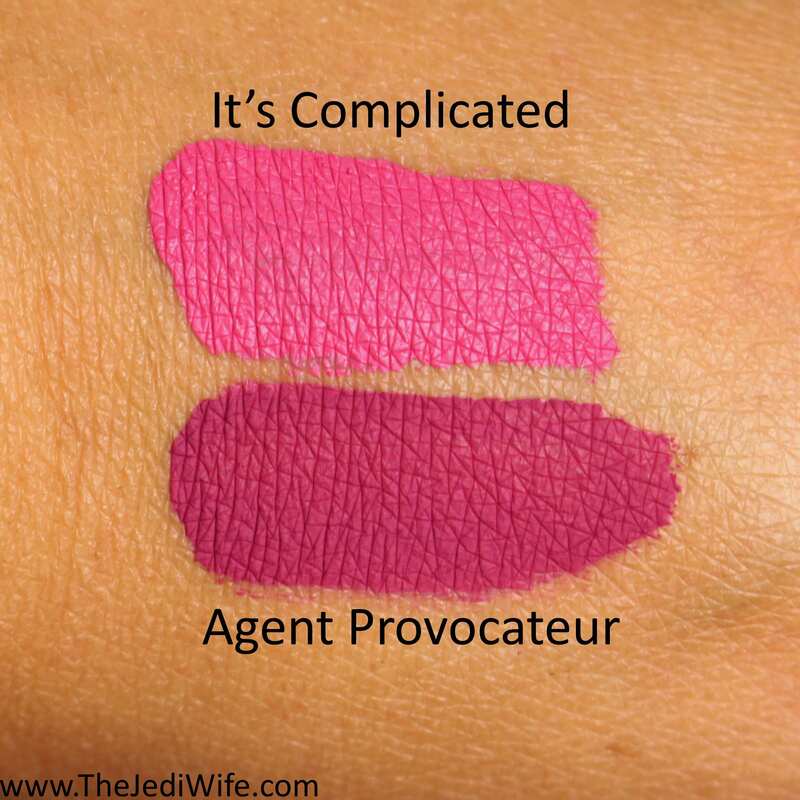 It's Complicated is part of the Creamy Lips subset while Agent Provocateur is one of the Velvet Matte shades. Both shades are nicely pigmented, and like the rest of the collection, has a light mint scent. I personally am a fan of mint scents so it likely wouldn't have bothered me anyway, and I don't think it is particularly strong and would be offensive to others unless you loathe mint. It's Complicated is a beautiful bright pink shade! While not a typical colour I would grab for constantly, I am smitten with this cheery shade and have worn it quite a few times since bringing it home. The formula was incredibly smooth and comfortable on the lips although I did note the finish was a little uneven and patchy with the first layer on my lips. After another quick swipe or two, the colour evened out beautifully. It's Complicated dries down onto the lips, but I did not find it dried out my lips at all. I had a meal after applying this beauty and my lipstick didn't budge. Mind you, I wasn't trying to smear it around like a crazy person, but I did still eat my lunch as I normally would. After about five hours, I noticed the center portion had rubbed off some, and I was able to swipe another layer on the center of my lips; It's Complicated blended in perfectly with the lipstick already on my lips, so I was thrilled to see those results! Agent Provocateur is It's Complicated's darker, moodier cousin in a Velvet Matte finish. It was love at first swipe when I applied Agent Provocateur to my lips. Densely pigmented, it smoothed onto my lips easily with no thin or patchy spots right from the beginning. After a few minutes, it also dried onto my lips but was no drying out my lips. 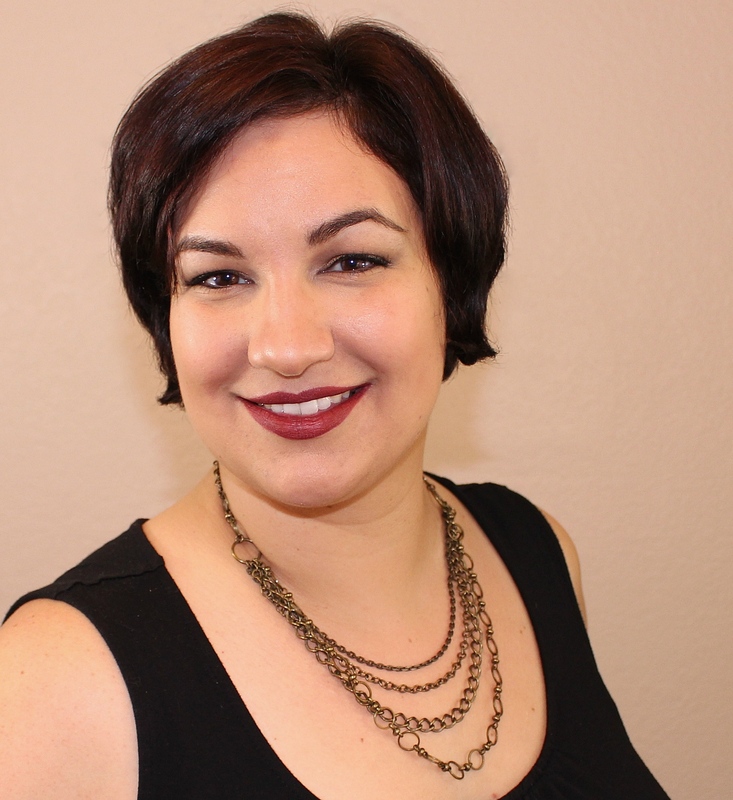 I was able to wear Agent Provocateur for about six hours before I needed a touch up in the center of my lips, and like It's Complicated, the touchup coat applied easily and blended in with the already existing lipstick flawlessly. In truth, once both Lip Lacquers dried onto my lips, I couldn't really tell much of a difference between the finishes. That's definitely not a deal-breaker for me, but if you are wanting a true, full-on matte finish, the Velvet Mattes like Agent Provocateur may not appeal to you. I personally love these Lip Lacquers, and if the remaining shades perform as well as these two did for me, I am sold! No more do we have to accept liquid lipsticks flaking off and creating odd textures on our lips when we apply a touchup! Those of you that are out there that have been there, done that know EXACTLY what I'm talking about, so I wholeheartedly suggest you pick up these beauties! It's Complicated and Agent Provocateur, along with the other Lip Lacquers, can be purchased from the Ella+Mila website located here. While I can't share pictures, I can say that there will be more colours coming soon to the brand lineup, and I know a lot of people will be thrilled with the colour offerings! I know I am eager for their release! That's all I have for today, dear readers! 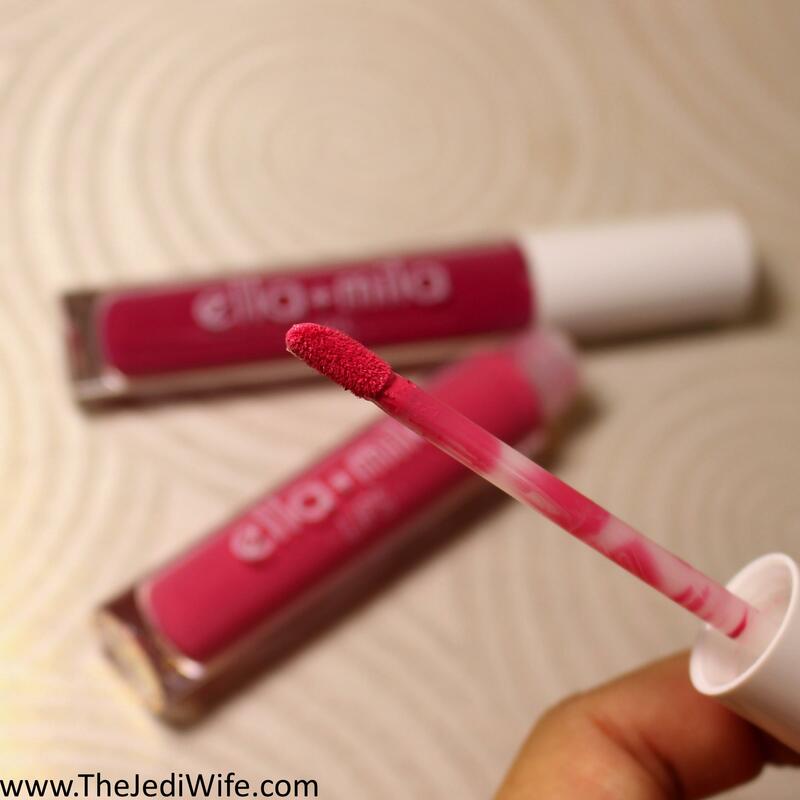 Have you tried any of the new Lip Lacquers fro Ella+Mila? If so, what is your favorite shade? Which ones are you interested in? I'd love to hear from you! Ooooooo These are beautiful on you, Jen! I really like Agent! Wow! I am in LOVE with Agent Provocateur. Both are nice but that one is more my shade. I haven't tried these but they are gorgeous on you lips. I wish I could wear lipstick! Those both look pretty on you and suit you well. I have a couple I've swatched. I plan to put them to the test this weekend. After reading your review, I'm even more excited to wear them. I love any matte liquid lipstick, and It's Complicated is such a pretty pink. Agent Provocateur is such a beautiful shade! Those both look fantastic. Love the matte finish. Beautiful swatches and shades. I'd love to try out the liquid matte lipstick line.